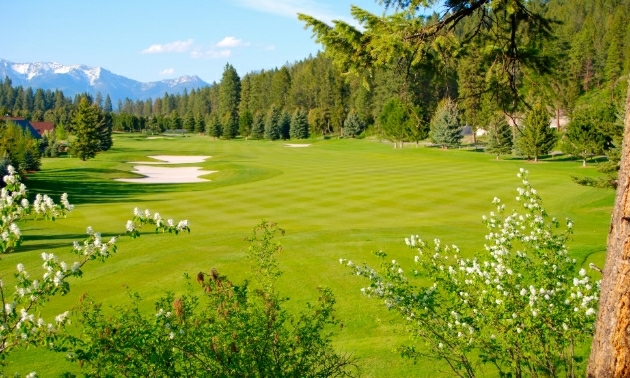 The 27-hole layout at Eagle Bend Golf Club in Bigfork, Montana, allows for a great amount of diversity between each of its three unique 9-hole sections. From thick ponderosa pine trees to mountain views, to open space with an abundance of water hazards, this course has it all. The three sections are named for the wildlife common in the Bigfork area. There’s the Eagle 9, Bear 9 and Osprey 9. Jim Fagan II, membership director at Eagle Bend, said that with such a wide variety it’s difficult to choose just one favourite. But he can pick one from each of the 9-hole layouts. His favourite for the Bear 9? Number 13. Fagan said that his favourite on Osprey is hole No. 7—a 400-yard par 4 that runs right along the edge of the marina, an obstacle that perfectly represents this 9’s overall challenge. Fagan said it’s not just the diversity of the three sections that allow such a wide variety of types of play—the differences also lie in the tee boxes. 279 Eagle Bend Drive Bigfork, Montana. Located 2.4 kilometres west of Bigfork on Holt Drive. Four full sets of tee boxes, as well as combo tee boxes added to extend the length of the course. Club golf carts added for 2014 season. The Eagle Nine was completed in 1984; the Osprey Nine was completed in 1988; the Bear Nine opened in 1995. Golf Northwest purchased Eagle Bend Golf Club in December of 1997. 62, held by Lon Hinkle. 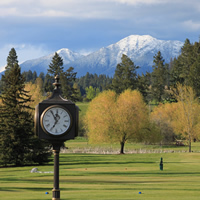 A variety of member events, as well as the Montana State Governor’s Cup. Private and group lessons available, Junior Golf Academy for ages five to 17. Golf lessons are provided by Michael Wynne, the club’s teaching pro. Additional PGA staff are available for lessons. Contact Jim Fagan at 406-837-7322 for membership information. Over 200 developed lots ready to build in many small developments throughout Bigfork, as well as five-acre and larger parcels on the many rivers and lakes in the immediate area. Jim Fagan II of Eagle Bend Golf Club gives some tips for keeping up your golf game, both at Eagle Bend and for golfing in general.